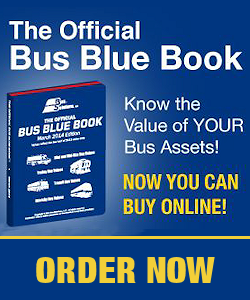 Bus Weekly from Bus Solutions Holdings, LLC. 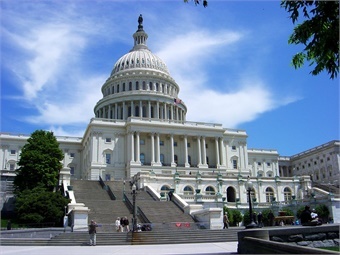 WASHINGTON, D.C. - On Monday, the Trump Administration released the long-awaited proposal to upgrade roads, airports, and other public works, with the release of a 53-page document detailing how the Administration plans to stimulate at least $1.5 trillion in new investment, shorten project permitting time to two years, invest in rural projects, and improve worker training, Bloomberg reports. The newest elements of the proposal include expanding the use of tax-exempt debt, letting states add tolls on interstates, and making it easier to lease airports and other public assets. The infrastructure plan also proposes streamlining environmental reviews by putting a single agency in charge of the work, imposing a 21-month deadline for completing those assessments and requiring final decisions on permitting three months after that. 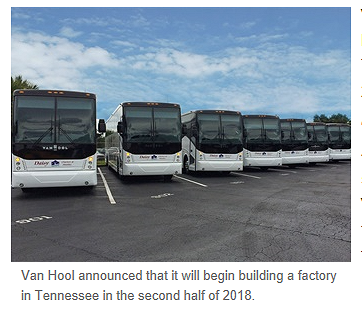 Van Hool announced that it will begin building a factory in Tennessee in the second half of 2018, De Tijd reports. "From 2020, we want to produce 400 buses per year with about 500 employees," said CEO Filip Van Hool. 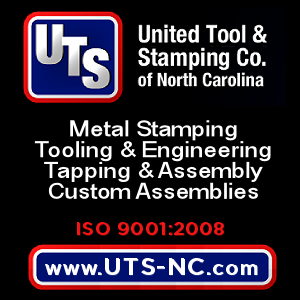 "In time, we think the factory will have about a thousand employees." 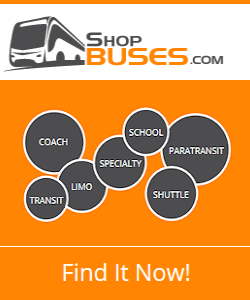 In 2014, the Koningshooikt, Belgium-based bus builder opened a factory in Macedonia, where almost 800 buses are made per year. The lower wage costs ensure that Van Hool can play a part again in order to win orders where the price is decisive. The coaches with high added value are only made in Belgium. 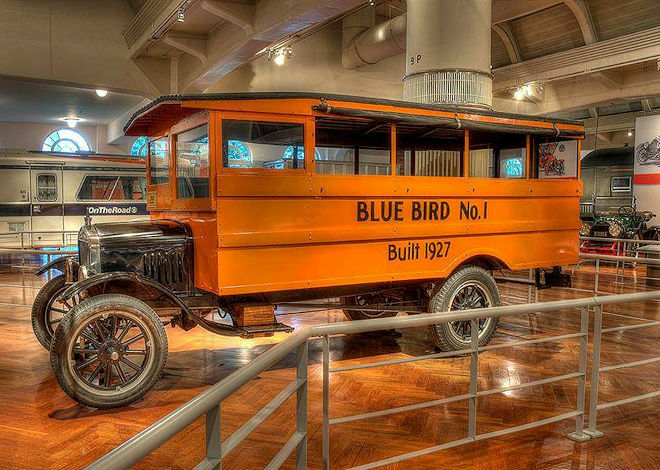 The oldest known surviving school bus in the United States: Blue Bird No. 1, the first bus constructed by A.L. Luce, founder of Blue Bird Body Company. The bus is based on a 1927 Ford Model T chassis. 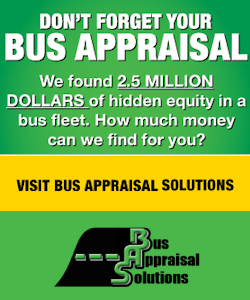 Have a vintage bus photo you'd like to share? 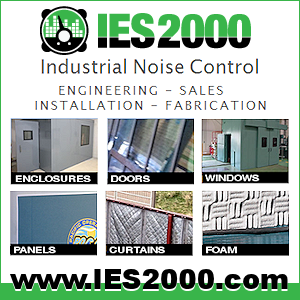 Write to: eMarketing@BusSolutions.com. BUNKER HILL, Ind. 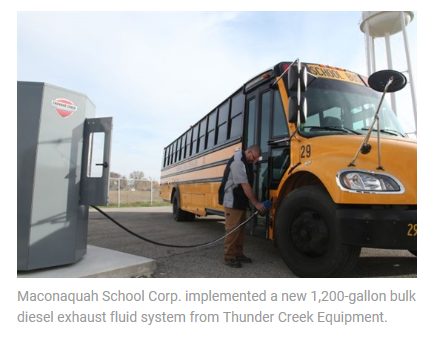 - Like many other school bus fleet operators, Maconaquah School Corp. recently faced a difficult decision: how to best handle the growing need for diesel exhaust fluid (DEF). Half of Maconaquah’s fleet of 43 school buses already required the fluid, and the school district rotates in three new buses every year - all of which require DEF. Maconaquah opted to implement a new 1,200-gallon bulk DEF system from Thunder Creek Equipment. 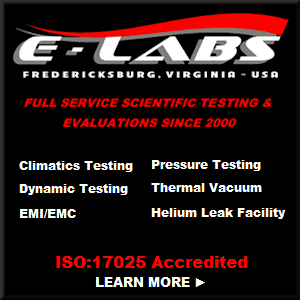 According to Joseph Benge, the district's maintenance supervisor, the system fit seamlessly into his operation’s fueling setup and ensured that DEF wouldn't freeze thanks to an internal heating system.